Ready to relax on the perfect stretch of sand? You’ve come to the right place. Whether you want an endless stretch of sand to stroll along or crystal-clear water that is perfect for snorkelling, the beaches in Tropical North Queensland will hit the spot. Take Nudey Beach on Fitzroy Island, consistently named as one of Australia’s best beaches. Once you hop off the ferry from Cairns, it’s just a quick walk through the rainforest to Nudey Beach, lovely stretch of white sand where you will rarely find more than a handful of people. Just remember, it is nudey by name not nudey by nature, so keep that swimsuit on. The mainland has no shortage of enticing options either. Mission Beach has 14km of golden beach to explore on the Cassowary Coast while closer to Cairns, Ellis Beach is a local favourite. 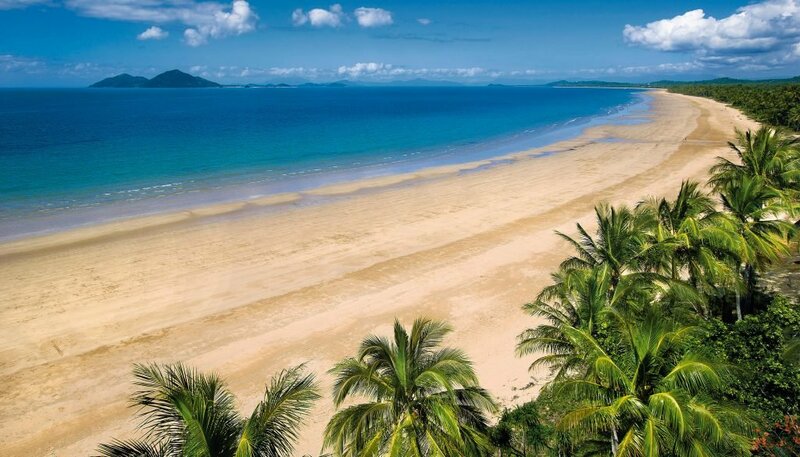 Four Mile Beach in the resort town of Port Douglas is a lovely curve of family-friendly sand while the palm-lined beach at Palm Cove has been named both the friendliest and cleanest beach in Queensland. Even in the deep north there are plenty of beaches to explore, from the serene Myall Beach at Cape Tribulation to the paperbark-fringed Elim Beach in Cape York to Australia’s northernmost beach at the tip of Australia, the gorgeous Punsand Bay. This is one of the few beaches in Australia where you can watch the sun both rise and set so why not give both a go? No matter what your style – towel lounger, serious snorkeller, diving belle – we’ve got the perfect beach for you.